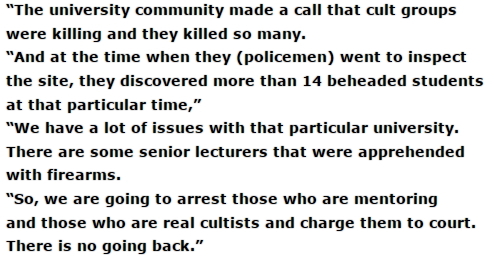 The officials of Edo Police Command said yesterday it nabbed some lecturers of AAU in Ekpoma for engaging in cultism. 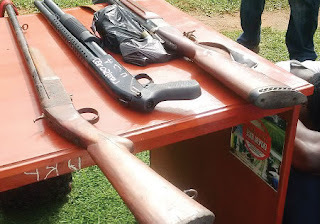 Edo Police Commissioner Haliru Gwandu told journalists in Benin on Tuesday that firearms were recovered from the arrested lecturers. 3 double barrel gun, a single barrel gun and a pump action gun were recovered from the suspects.